How to sniff USB traffic ? How to sniff USB traffic using USBTrace ? 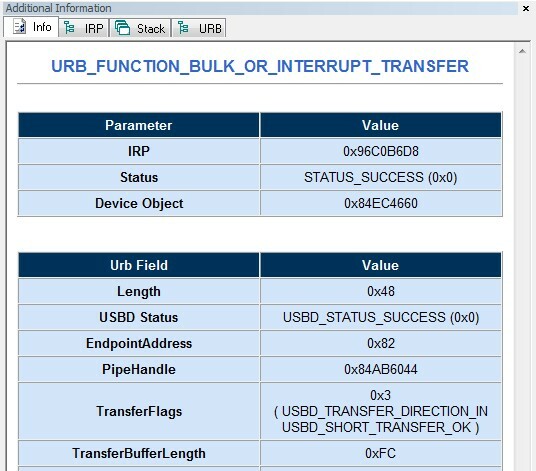 USBTrace is a software-based USB protocol analyzer (USB sniffer) which can be used to capture/sniff/analyze USB protocol data exchanged between USB devices and the PC. The tool is mainly used by USB device driver, firmware, application developers & test engineers to analyze, debug and test the USB implementation. This article explains in simple steps how USBTrace can be used to capture USB protocol data. USBTrace supports all versions of Windows starting from Windows 2000,XP. It supports all processor architectures (32 bit and 64 bit) and all versions of USB (low, high, full and super speed). 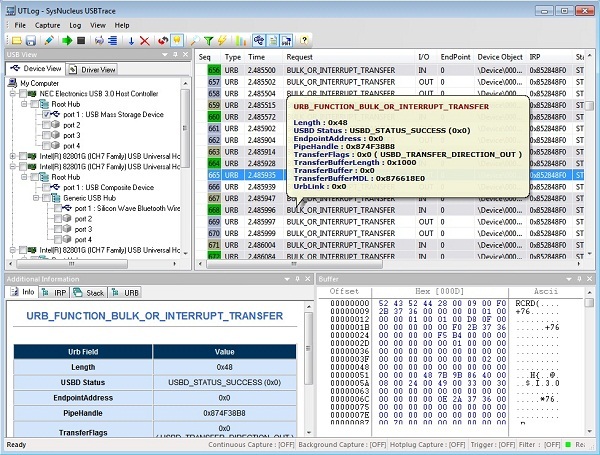 USBTrace is a standalone software, it requires no other hardware/software components to run. How to view USB protocol data using USBTrace ? Image below shows the USBTrace user interface. In the top left pane (USB View) the USB devices and drivers present in your system are displayed. 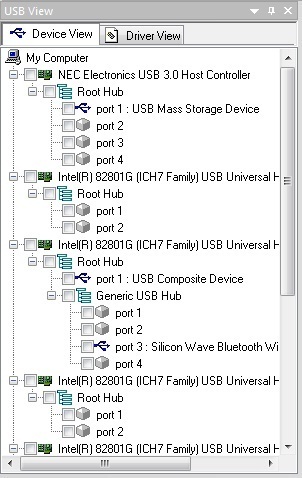 Devices are shown in tree format as per USB connection hierarchy. Towards the right of this pane is where the captured USB transactions are displayed (Log View). The lower left pane (Info View) shows details decoded information for each captured transaction. The lower right pane displays the data (Buffer View) associated with each captured transaction. To start analyzing (sniffing) a device, tick the box near the device name in the USB View and click the 'Start Capture' toolbar button (or select 'Capture' menu > 'Start Capture'). In case you need to capture only a specific driver in the USB driver stack you can select the driver in the USB driver view before clicking 'Start Capture'. 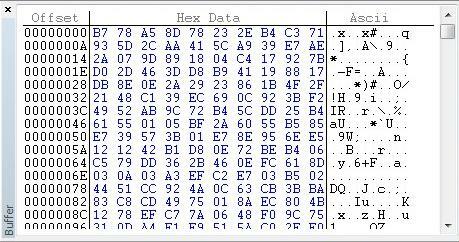 Once you start capture, captured USB protocol data will be displayed in the Log View as shown below. Clicking each captured USB transaction will load detailed decoded information in the Info View and its data contents in the Buffer View. The Info View also shows the IRP, IO_STACK_LOCATION, URB structures associated with the selected USB request (these details will be of interest to device driver developers). Relevant USB class specific information is also displayed. 1. How to capture USB device enumeration ?